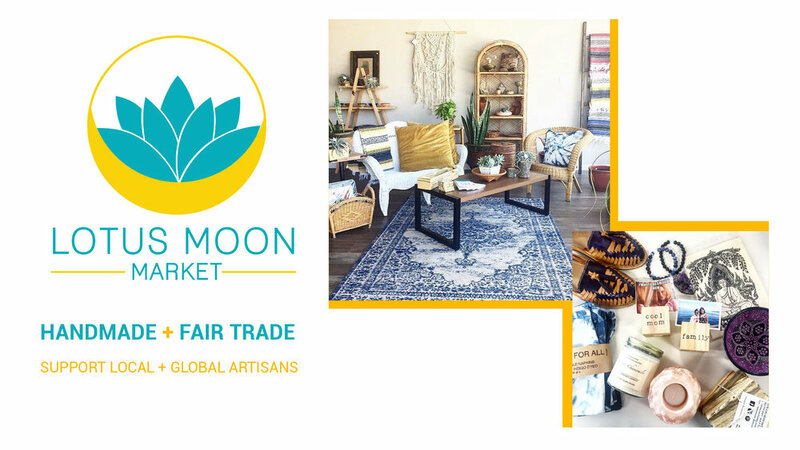 Lotus Moon Market is a curated market place featuring artisans locally and globally. We carry handmade and fair trade products working with artisans from all over the world in hopes to improve the quality of their lives. Providing handmade items makes every piece unique and providing fair trade products help create jobs that pay a fair wage in a safe and dignified environment. The Lotus symbolizes rebirth and patience while the Moon symbolizes enlightenment, it is our light through the darkness. Lotus Moon Market wants to be the light in our makers’ lives. Our goal at Lotus Moon Market is to help people around the world by shining light on artisans who work diligently to feed their families, villages, and communities. It is our mission to share with the world what beautiful creations these artisans make from around the globe. Stop in and say hello! You'll find unique handmade home decor, candles, jewelry, ceramics, gifts, and more!